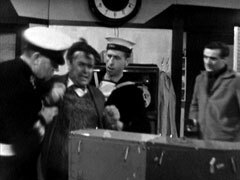 Sub-lieutenant Crane (Danvers Walker) is ushered into the office of Captain Nash (Noel Coleman) by the escorting officer, Williams, (Richard Pescud). Nash informs Crane that he's to be held under close arrest, accused of passing on information of a top secret nature to a person or persons unknown. Nash hopes he has a good defence and Crane replies, "Yes sir, I'm not guilty" and is led away. Steed arrives at a seaside inn dressed as an RN Commander, he asks Maggie (June Murphy) for his room and orders a pink gin. He 'notices' Cathy sitting in the lounge and Maggie tells him she's working at the naval installation; he orders Cathy a gin and tonic and sits down at her table. Cathy queries his uniform and he tells her he's posing as a naval psychiatrist, acting unpaid. She reminds him that seamen don't wear their caps "between decks" - he hastily removes it - then tells him that the base has a good laboratory but she's discovered nothing in a week - nobody's even mentioned Crane. Steed tells her he's confined to his cabin until after the next test of the new defence equipment. He's telling her the next test is at the end of the month during the NATO exercises when Cathy notices Maggie approaching and she changes the subject. Steed drinks up and drives to the base where he visits Crane and asks him about the evidence found in his locker, which Crane says had been planted there. Steed tries to get a rise out of him, citing his admiration of Socialist efficiency and staying back after work. He accuses Crane of getting in too deep after being approached by the other side but the man maintains his innocence. Steed concedes he's telling the truth and says he's on Crane's side. That evening, Steed visits the wardroom where Nash had just admonished a gloomy Sub-lieutenant Graham (William Gaunt) for talking shop in the wardroom on a social evening. Joe Franks (Richard Leech), the local newspaper owner, laughs and says he's signed the official secret act. Steed is introduced to Franks, Graham and the head boffin, Dr Thorne (Jack Stewart), and is promised a tour of the facilities in the morning. Nash tells his secretary, Lt. Mellors (Ian Shand), to order drinks from the steward (Michael Browning) and Franks queries Steed a bit too closely about why he's there. Rankin (John Sharp) is meanwhile losing badly at darts to Thomas when Linda (Katy Wild) comes into the inn, angry at being stood up for a date. She tells Maggie she's saved £80 and will leave for London soon - Maggie agrees, and holds aloft her piggy bank, saying another £15 and it's bright lights for her. Steed is shown around the lab next day and talks to "Dr Gale", who tells him the ruby formula has changed and they're retesting on a new frequency and satellite next week. Steed works out the information would have to be passed on that night for the test to be jammed. 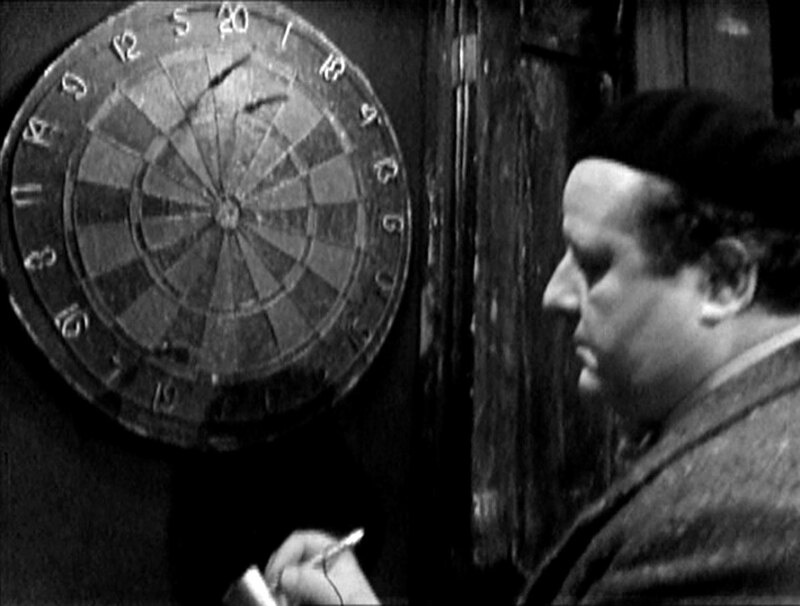 That evening, Mellors practices darts at the inn but when Rankin comes downstairs he hurriedly rearranges his darts on the board before leaving; Cathy enters and notices Rankin checking the position of the darts, which he writes down. She challenges Rankin to a game and he says he'll play when he gets back from the shops. She takes the darts and practices for a while. Rankin meanwhile lets his dog off the leash after slipping the numbers in the collar and the dog runs into Linda's shop, where she removes the paper. Rankin is concerned to see Graham enter the shop and goes in to retrieve his dog. Linda is cross with Graham for breaking their date and won't tell him where she's getting the money she's saving. 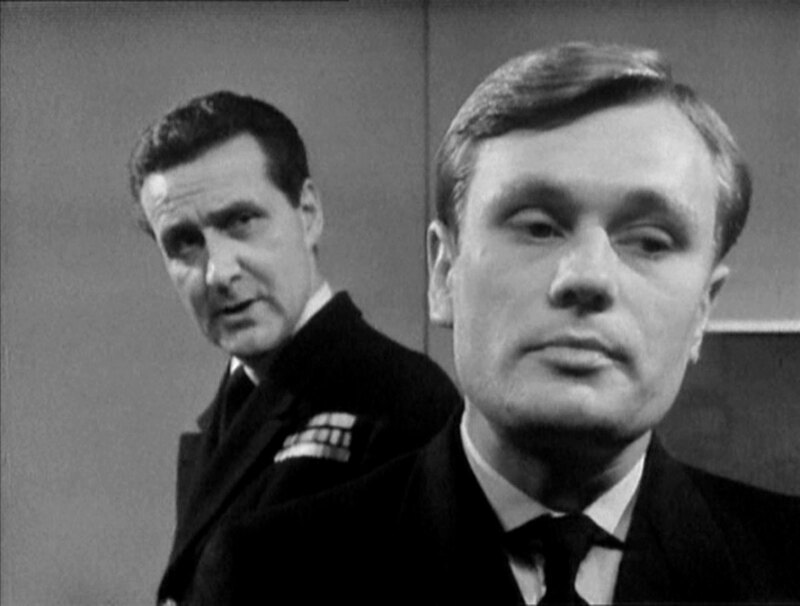 He tells her to call him if she's in trouble and returns to the base, where he attempts to get the Captain to read his report but is intercepted by Mellors, who brushes him off then excuses himself from Nash and Steed, saying he has some business in the village. A moment later, Nash takes his leave and Steed plays snooker with Graham. Graham drunkenly tells him Crane was his only real friend and is innocent, his report identifies two other channels by which the information could have got out. 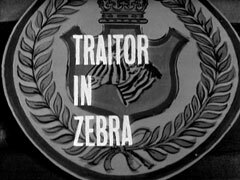 Rankin receives a 'phone call at the inn and tells his caller to come to see him rather than talk on the phone; he then makes another call and says a friend from HMS Zebra is coming to see him and "if he comes out of the inn alone, you'll know what to do". Mellors arrives, worried about Graham's report and tells Rankin he's quitting, not noticing Cathy looking at them. Rankin tells him "The Skipper" will be very displeased. Mellors demands to know who the Skipper is so he can put his case directly but Rankin won't say and tells him to return to the station and meet back at the inn in two days. 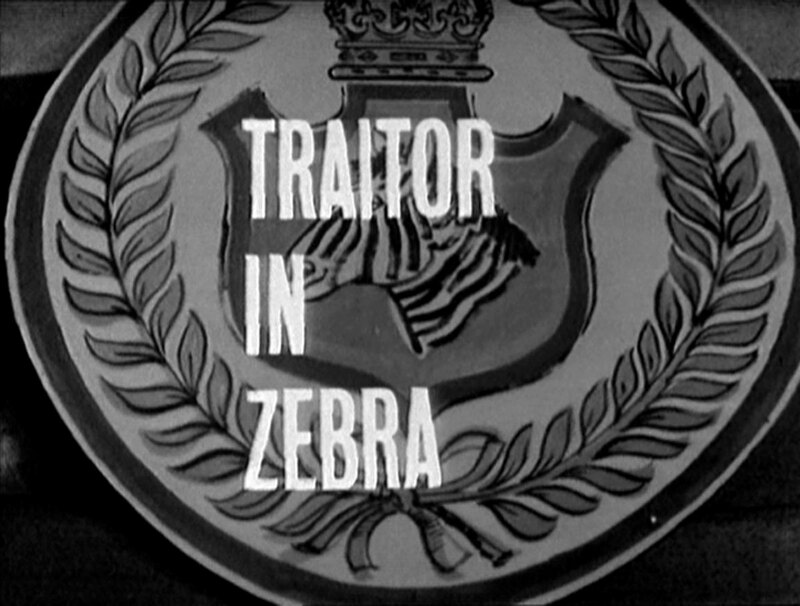 Mellors agrees and leaves the inn - alone - and is strangled when he gets back in his car. 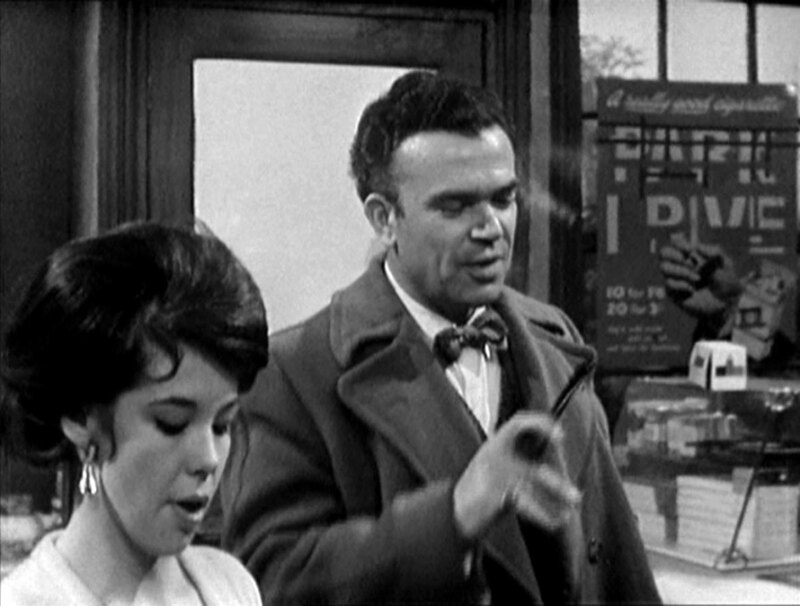 The next day, Franks introduces himself to Cathy at the inn and offers to show her the district after dismissing Mellors' murder as a robbery. Steed arrives and Cathy tells him the structure of the ruby can only be determined once it's made by getting a list of the components, but is puzzled why Mellors was killed if he was the leak. Cathy mentions that Franks said the murderer was an outside labourer and that Mellors had played cards with Rankin last night. Back at the base, Graham and Thorne find the crystal has perfect grain and they're ready for the test that weekend. Nash enters and tells them the a ministry bureaucrat will observe the test and they'll succeed as there's a new frequency and crystal, unknown outside the station - but Graham suggests that's only if they have the culprit locked up. Nash tells Graham the death of Mellors may have nothing to do with the case and almost nobody knows the real reason why Crane has been confined to quarters. Graham smiles and says that if the test is jammed it'll prove Crane's innocence. Cathy is shown Frank's newspaper offices and she notices he has a clear view of the naval station from the office window. He's just moving in to seduce her when the 'phone rings. He goes to answer it and she starts searching the office, finding a scrap of paper with the numbers supplied by Mellors just before he returns and she hides it in her boot. She returns to the inn and shows Steed the paper, telling him she made a complete fool of herself. 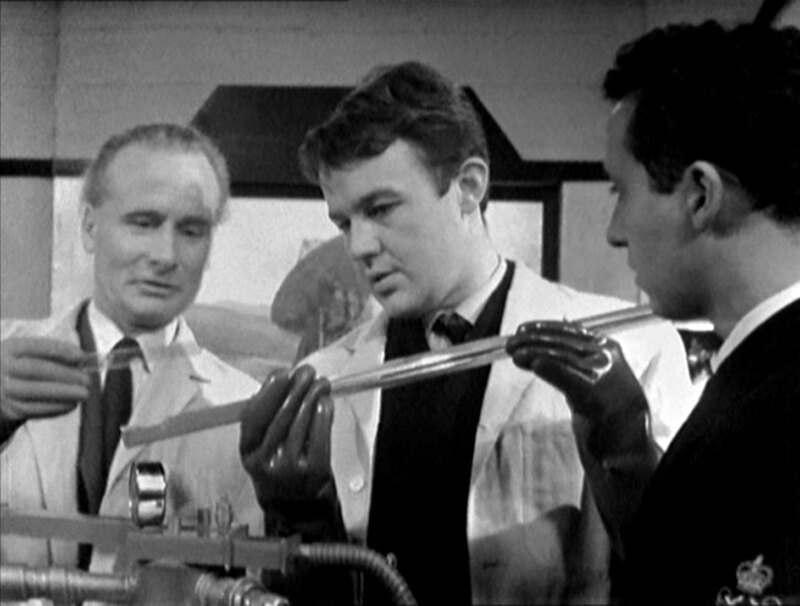 The next test is jammed, same as before, and afterwards Graham tells Cathy his report indicated how others could discover the components. Cathy asks him if he knows who Mellors passed the information to and he says, "No, have you?". That night, Graham receives a call from an anxious Linda. Nash, joking with Franks, tells him he hopes this girlfriend will be more presentable and when Graham replies, "No sir, she wants to talk to me about a dog", Franks is startled and says he must go. He slips a pill in Graham's beer and leaves, bidding goodnight to Steed at the bar. Steed joins Graham at the snooker table and strikes up a conversation; Graham finishes his pint and asks him to tell Crane he thinks he's onto something, then collapses and dies. Rankin returns to the inn and, despite Maggie's best efforts, finds Cathy in his room then slips back past Steed on the landing. Maggie tells them he escaped and they set off in pursuit. Rankin goes to Frank's office and tells him Steed and Mrs Gale were searching his room, Franks dismisses this as there should be no evidence and Linda won't dare talk - but sets up the jamming device as a laser to boil the blood of anyone who enters the dark room when Rankin sees a car approaching. Franks says their central committee takes a dim view of people who leave evidence lying about, and kills Rankin before leaping out the window. Steed and Cathy enter the office and Steed disables the booby trap, noticing it's a very good portable jamming device. Cathy finds Rankin's body and they ponder Franks' next move - which is going to the station's lab and forcing Dr Thorne to let him into the control room. He knocks out Thorne and sets the bomb on the controls but Steed attacks him as he exits. 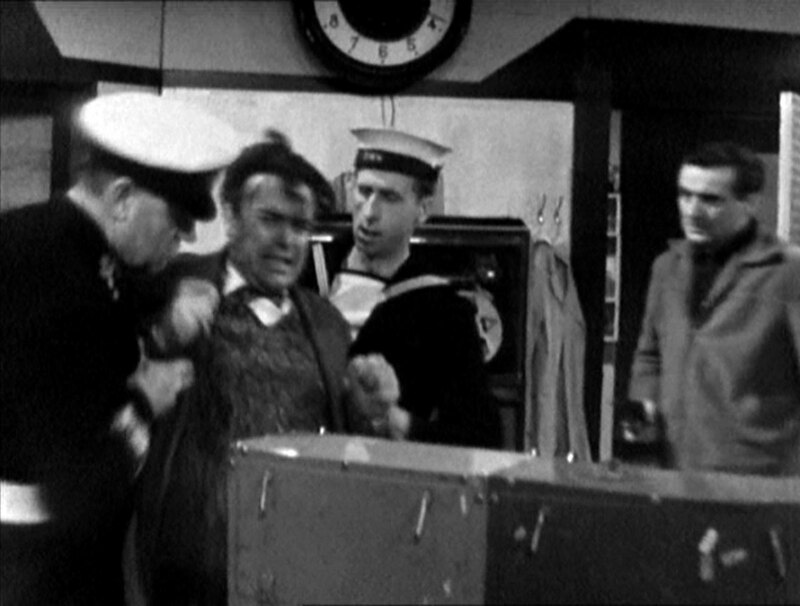 He's forced back into the room by Steed, who rescues Thorne and locks Franks in the room with the bomb, forcing the saboteur to defuse his own bomb as the alarms across the station go off. Franks is hauled away by some sailors and Nash tells Steed and Cathy his opinion of psychiatrists has gone up immensely and Cathy goes to tell Crane the good news.